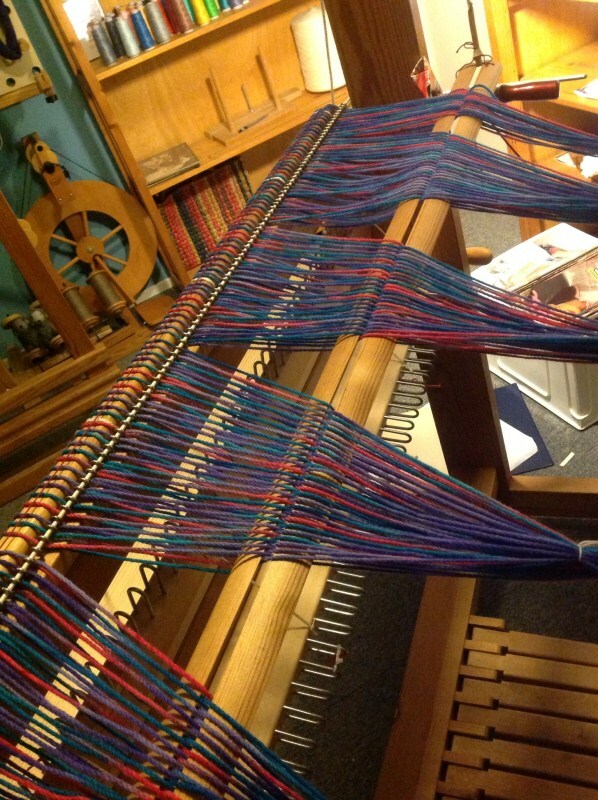 I have been busy making a warp for my poncho. The yarn I intended to use was very thin, compared to my own spun weft. 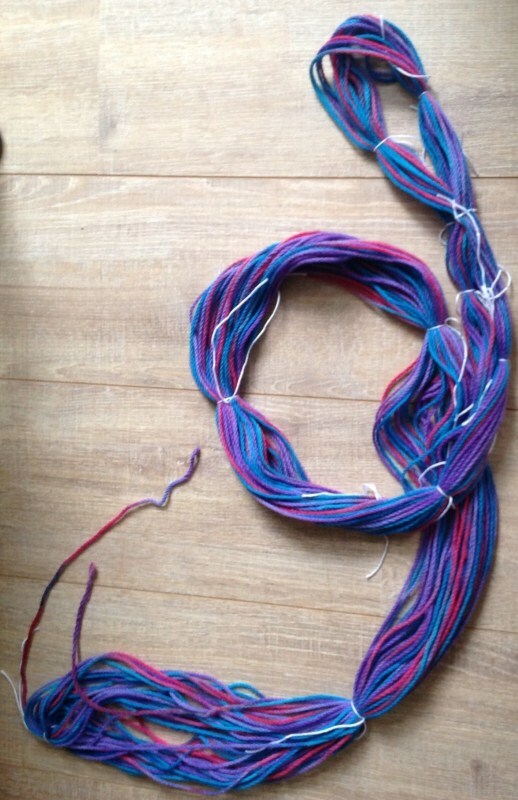 What to do….I decided to make a cabled yarn. I had never done that…..a real challenge it was.